Icelandic mythology has many interesting creatures ranging from elves or hidden people, trolls, horses living in water, sea people, monsters and many more. The stories containing these creatures were passed between generations for decades and centuries. Many of them have now been published in books but only after they were modified by hearsay through the ages. These stories are still an important part of Icelandic culture despite the fact that people no longer believe in them. The elves in Icelandic folklore are not like the fairies, little with wings. The Icelandic elves, or hidden people like we often call them, are much like regular people although often described as tall and elegant. In some stories, they appear poor while in other stories they appear exceptionally rich. But most of the time one does not even realize that it is an elf until something unusual happens. One such story is from Borgarfjörður Eystri in East Iceland. A woman, elegant and poised came to a farm called Ness in Borgarfjörður. She settled there with the locals and soon she had taken over the farm. Before Christmas that year the woman asked the foreman of the farm to guess after the holidays where she had spent Christmas. She told him it was a matter of life and death and that he would be rewarded afterward. After the holidays he could not give her an answer. He was never seen again. This happened again for the next 2 years. The fourth foreman she got was more clever than the others. When she left for Christmas he followed and when she saw him she threw him a vail and covered her self with another vail and threw her self into the ocean. He followed into the ocean grabbing onto her vail. Moments later they reemerged in another land, beautiful and fruitful. The people there greeted here with much joy. During the holidays he witnessed the woman sitting on a throne dressed as a queen sitting beside a handsome king. When back at the farm the woman asked the foreman if he knew where she spent Christmas. When he gave the correct answer she thanked him and told him a story. She was a queen of the elves under a spell that only allowed her to see her husband and her people over Christmas. The only way to break the spell was if someone could tell her where she had spent the holidays. The trolls have, just like the elves, a long history in Icelandic mythology. Both of those can be traced back to the Norse mythology and religion the Vikings brought with them when they found Iceland. There are stories of Trolls from all around the country but the one I chose for today comes from the West fiords. In the early days of Christianity in Iceland, people by Látrabjarg in the West fjords of Iceland were having trouble when scaling the cliffs to collect eggs. In a certain area, the climbers tied themselves with a rope for security. 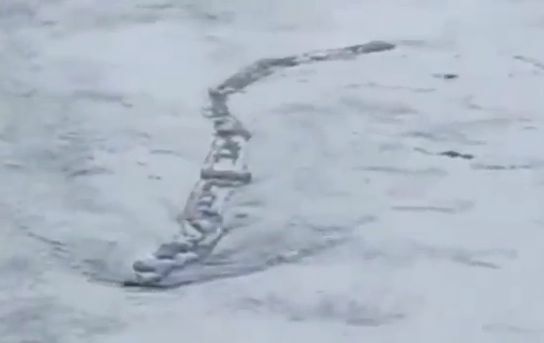 But they were later found at the foot of the cliff with their rope seemingly cut with a knife. None of the locals could find a solution for this problem but they thought it was some kind of troll or a monster. The bishop called Guðmundur góði, (Guðmundur the good) came to help them. He went to the cliff to bless the area and threatened to expel the troll. At that moment the troll pleads for mercy and claimed that there had to be someplace for the bad in this world. From there on the bishop negotiated the area where the troll could live with his kind. This is the area of the cliff most difficult for climbers to scale and from that time no one would try to scale this place. 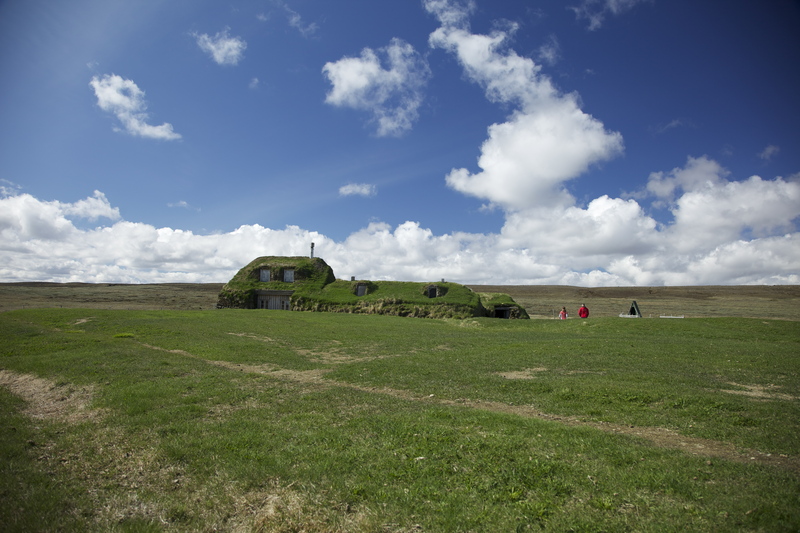 In ancient times a woman lived with her daughter next to Lagarfljót river in East Iceland. When her daughter was grown up the woman gave the girl a golden ring. The girl asked her how to get the best use of the gold. Her mother recommended putting the gold below a garden worm. That is what she did putting both in a small box. A few days later she takes a look and finds the box about to break due to the growing size of the worm. She got so scared that she threw the box into the river. Several years later the locals started spotting a large worm in the river and soon it started drowning boats on the river. It even began approaching land spitting poison but no one knew what to do about it. At last, a couple of knowledgeable Finns were brought to help. They dove into the river but reemerged soon describing the beast. Eventually, they dove into the river again and managed to tie the worm down close to the mouth and by the tail. This way the beast was no longer able to harm people or their farm animals. After this, the worm was only ever seen when it made a hump on its back reaching out above the river’s surface. According to the legend the worm can still be seen in the river every now and then. 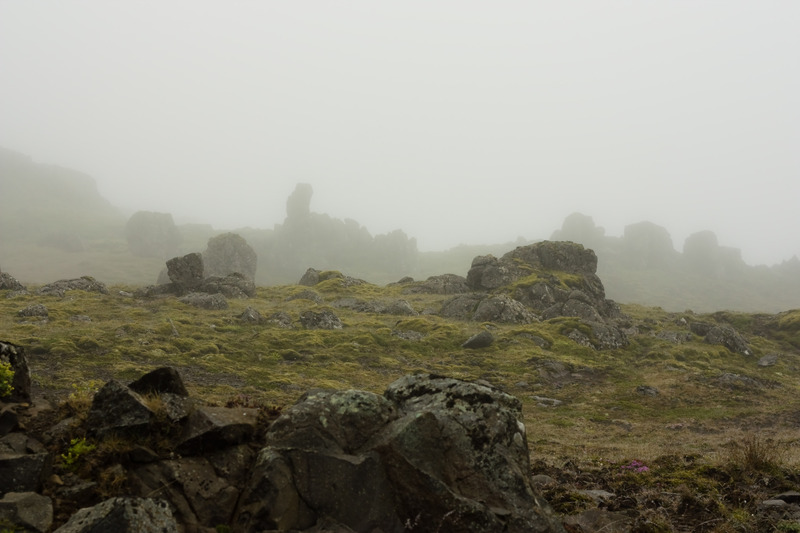 Elves and trolls are not the only human-like creatures in the Icelandic mythology. Among those are sea creatures resembling, or even converting into, human. In the South of Iceland, a farmer set out his boat to fish in the bay. Out on sea he caught a heavy load and pulled on board. When the load was up he realized that it was no ordinary fish but human-like. The creature claimed to be a merman and asked to be set free back into the ocean. But the man chose to keep the merman and bring him to land. On their way from the shore to the farm, the farmers’ dog greets him joyfully but the man reacted badly and hit the dog. By those events, the merman laughed. Further on the farmer tripped over uneven ground in the field and cursed it. That´s when the merman laughed again. When they got to the farm the farmer’s wife greeted him warmly and he greeted here well and that´s when the merman laughed for the third time. The farmer asked the merman why he laughed. The merman had him promise to return him to sea before he would tell him the reason. The farmer promised to do so and the merman told him everything. The first time he laughed it was because the man hit his dog that truly loved him. The second time he laughed was because the uneven ground the man cursed at was full of gold. The third time he laughed was because the man greeted his wife gladly while she was unfaithful. After confirming the presence of gold in his lawn the man freed the merman. Last but not least I want to tell you about ghost stories in Iceland. Just like the elves, the ghosts in Iceland are not what you typically imagine. They don’t look like floating bed sheets. When they are seen they always look like humans. Sometimes their presence is only felt but sometimes they are seen in the form of the person deceased. In Icelandic mythology, the term ghost also applies to people who have resurrected either by their own force or through a magic spell. In the farm, Möðrudalur in North East Iceland lived a priest named Bjarni. His wife was named Margrét and she loved him dearly. Unfortunately, she died in childbirth soon after they got married. Before she died she made her husband promise never to get married again. Soon after she died the people on the farm started noticing her presence. When her husband remarried soon after her death she started terrorizing his new wife until she died. Later he remarried again but this time he married a woman his first wife had never met. In the same year, he married his third wife he himself died on his way between farms. When his body was found a tent was set over it and a young woman stood guard. The next day she said that a large group of grey crows had attacked the tent all night and in the hill next to the tent she had seen his first wife sitting and knitting all night. After the priests’ death, the farm Möðrudalur was abandoned due to haunting and was only ever used by weary travelers who often sensed or saw the priests’ first wife Margrét. The stories quoted in this article appear in the book Þjóðsögur við þjóðveginn by Jón R. Hjálmarsson translated and adapted by the writer of the article.